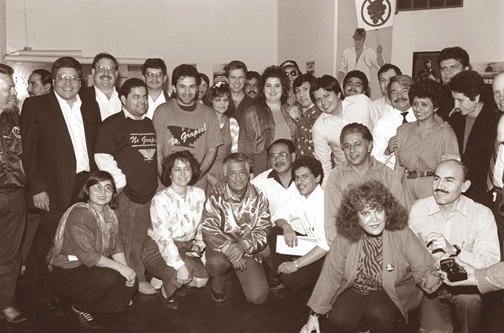 UFW Stories: "How Cesar Chavez Inspired me"
"How Cesar Chavez Inspired me"
What changed my life growing up one of 11 kids in a migrant farm worker family toiling under the bleakest of conditions during the 1950s and ‘60s was Cesar Chavez and the movement he founded. Cesar and his struggle have everything to do with the journey my life took and why I’m where I am today. The lessons learned from the United Farm Workers came with me when I organized serve and led the hotel and restaurant workers union in Los Angeles and now while I as leader of the labor movement in L.A.
We in L.A. Labor taught housekeepers, cooks, janitors, port drivers, sanitation workers, car washers and airport security officers—most of them immigrants—to courageously stand up for their rights and demand a fair share of what they themselves produce—the same way Cesar taught me when I was a farm worker in the Central Valley.